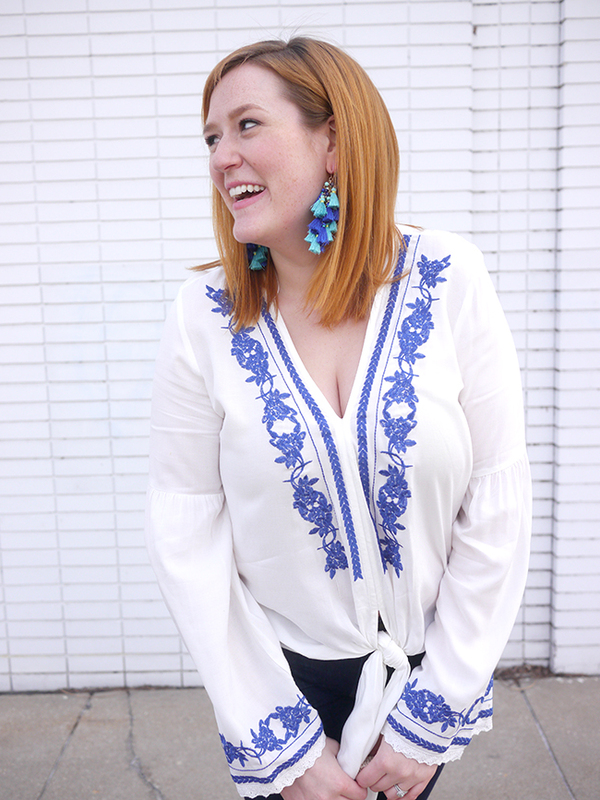 When I snagged this top in Charleston I thought of it as only something I would ever wear with shorts, or maybe white jeans if I wanted to go for a full on diva vibe. 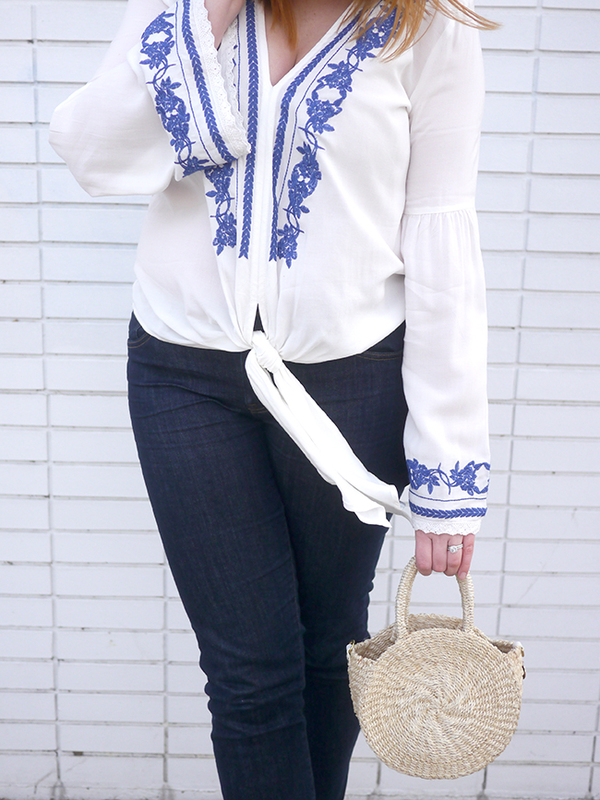 But really, it turns out regular jeans work too! 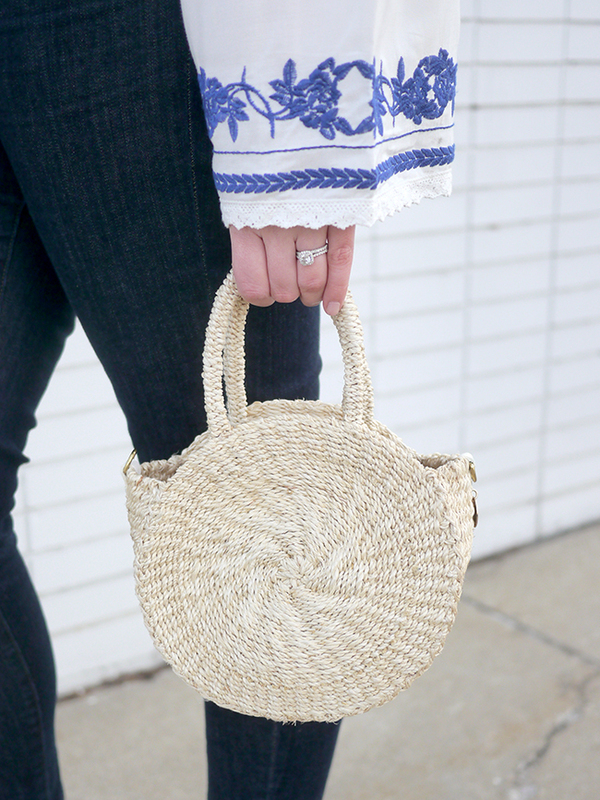 It just needs to be paired with summery accessories, like these beautiful espadrille sandals I snagged - aren't they gorgeous?! I love that they really strap your feet in, so there's no slipping or sliding - makes them easy to walk in despite the height, and super comfy. They also come in a tan and the most beautiful gray color, which I'm also seriously considering. Not that I need more sandals - the shoe space in my closet is currently exploding! I was going to do something about my closet last weekend, but I somehow never quite found the time - send help please! !